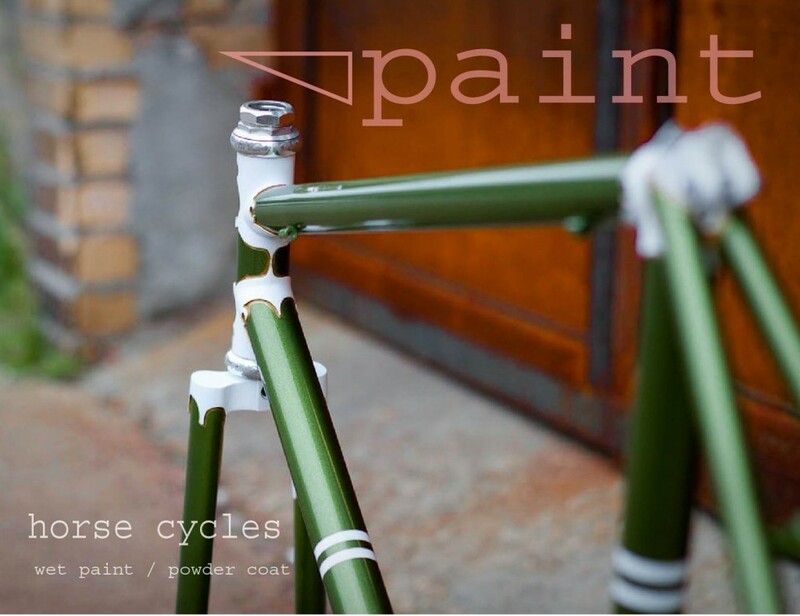 Introducing Horse Cycles Paint: Premium wet paint and powder coat for the ride of your life. For 7 years, we've painted our work at Horse Cycles alongside frames and components for the wider New York City cycling community from our spray booth in Brooklyn. Joining the team is esteemed frame painter Ben Falcon. Ben came to us from renown builder Chris King, where he established the paint department for Cielo bicycles after honing his craft for the exquisite purveyors of custom rides at Seven Cycles. Horse Cycles paint uses only the highest quality coating producst to give your bike the most durable and fibrent finish. PPG automotive coatings and high end impact resistent polyester powder. Spread the word, and look out for our flyers in your local bike shop! Win A Horse Cycles Porter Bike!! !